Jeni Britton Bauer, the founder of Jeni’s Splendid Ice Creams in Ohio and Kentucky, has been honing her ice cream making skills for more than 15 years. And it shows. Her ice creams have an obsessively dedicated following and have been praised by Saveur Magazine, among others. 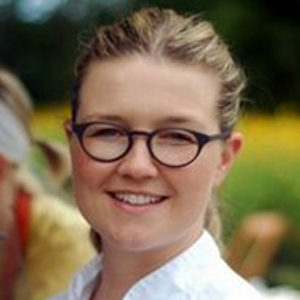 She’s also the author of the best-selling cookbook, Jeni’s Splendid Ice Creams at Home, which won a James Beard Award. Know how every once in a while you taste something that’s so insanely satiating that a single spoonful pretty much satisfies? Nah, neither do we. Pass the ice cream, please. What’s that? Fruity beers are for the girls? Hmmm. Does the same go for fruity beer sorbets? Milkiest? Chocolatiest? We think so. This creamy, dreamy little concoction is smoooooothness on a spoon.